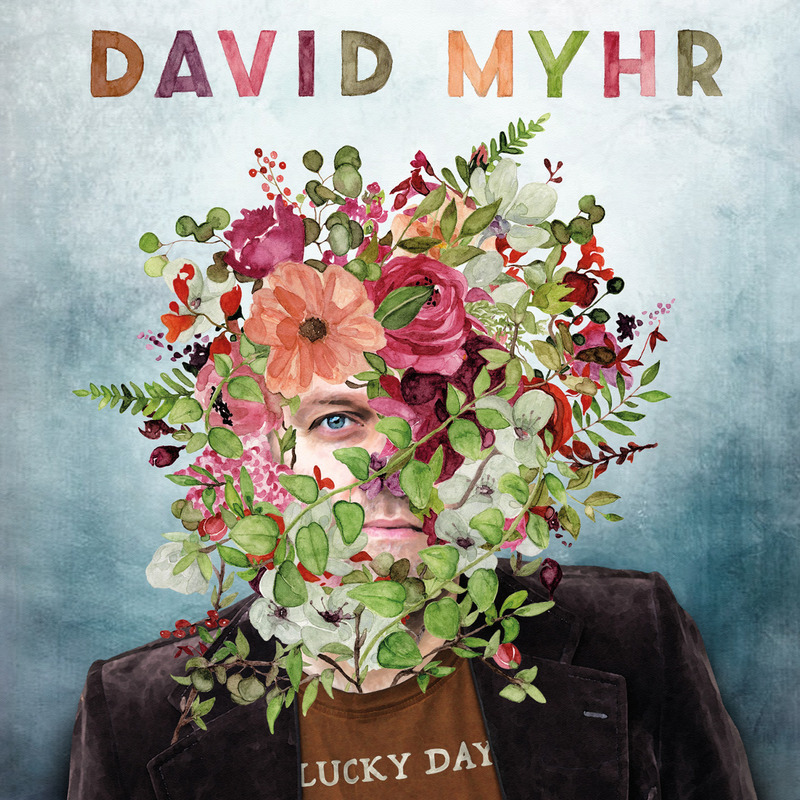 The second track from my upcoming album Lucky Day that can be pre-ordered here is out! It’s written together with Bill DeMain and is called “Room To Grow”. (Read all about the first track “Jealous Sun” in my last blog post). 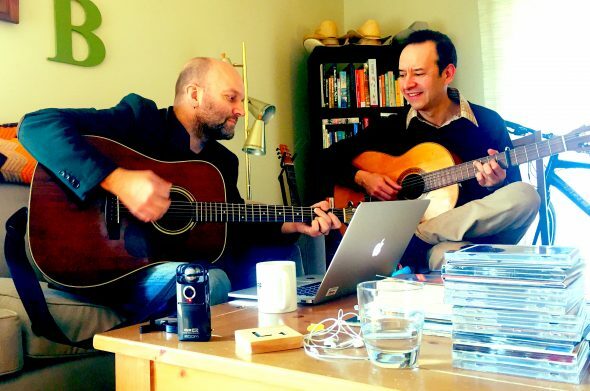 The picture below shows me and Bill DeMain at his house involved in a songwriting session. Bill was the fifth ”stop” on my co-writing tour through L.A., Nashville and New York in February 2015. 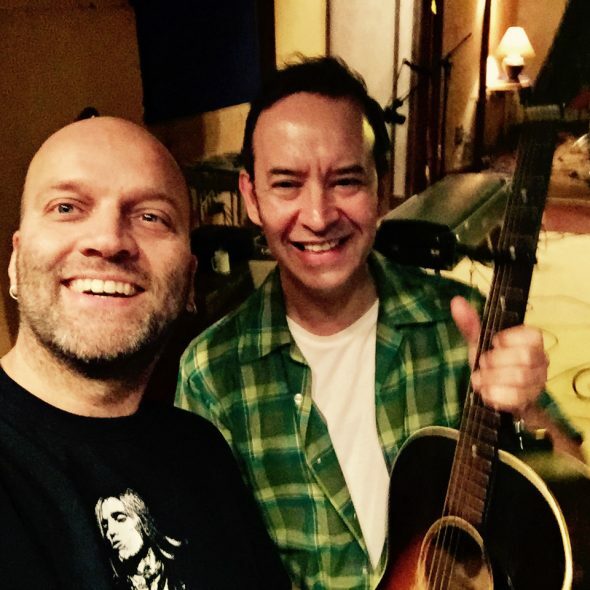 He had been warmly recommended for me to try to approach by Andrew Campbell, the head of my record label Lojinx, as well as by producer Brad Jones. And boy were they right! The session turned out to be very fruitful and now, only one thousand one hundred and seven days later, I am extremely excited to finally be able to share the result with you all in the form of the song ”Room To Grow”. It was the first time ever that Bill and I met and, as is common in co-writes, the session started with some small talk. We talked a little bit about the phenomenon of co-writing itself and various approaches to it. I said that I’m sometimes a little bit stressed by the idea that one is supposed to come up with something on the spot while being watched by the other. Bill understood my point and said that for first time co-writes he always think that it’s a good idea to start with slight snippets that are a little bit developed. He added “–Knowing that you were coming this week, I came up with something that… uhm… I like the music germ and the title too. The words are a little bit sketchy…”. He then played his idea for a song called “Room to grow” in a short, condensed version consisting of one verse. Or, more correctly, an “A-part” (of an AABA song). I fell in love with what I heard and told him it was really beautiful. I noted that the chords were somewhat “jazzy” but still without sounding too complicated. Bill agreed and said he liked that they are “kind of bossa-nova chords but with the eighth-note rhythm making it simpler”. I spent some time to go through the bunch of extended chords using alternative bass notes, joking that I shouldn’t have skipped classes when they were teaching these kind of chords. I was a little bit out of my comfort zone. 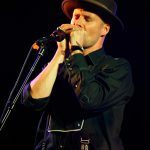 Being in “music city”, with an experienced songwriter I’d never met, I felt I would be really rewarding if I could contribute something great to the song. The only thing I could figure the song was missing was a fitting bridge melody. After forty-five minutes of confused trial-and-error, by improvising melodies singing them out loud accompanying myself with different chords on the guitar, I suddenly hit a melody line that sort of just ”came” to me. But it certainly wasn’t my first intent. As Benny Andersson told me (and a few others), “you have to get rid of all the rubbish”. For the first time it felt really great. Bill commented after only a few notes “-That’s nice! I like that!”. It kind of sounded obvious and had both energy and movement to it. However, at first the idea was almost lost becuase I wasn’t able to reproduce it. Luckily I had a voice memo recording so I could go back and listen to what I did. And after a total of three hours, including a very nice chat over lunch about Jeff Lynne (who Bill of course had interviewed! ), George Martin (including him showing me this hilarious sketch), and a few other usual suspects, we said goodbye and both felt something good had come out of the session. 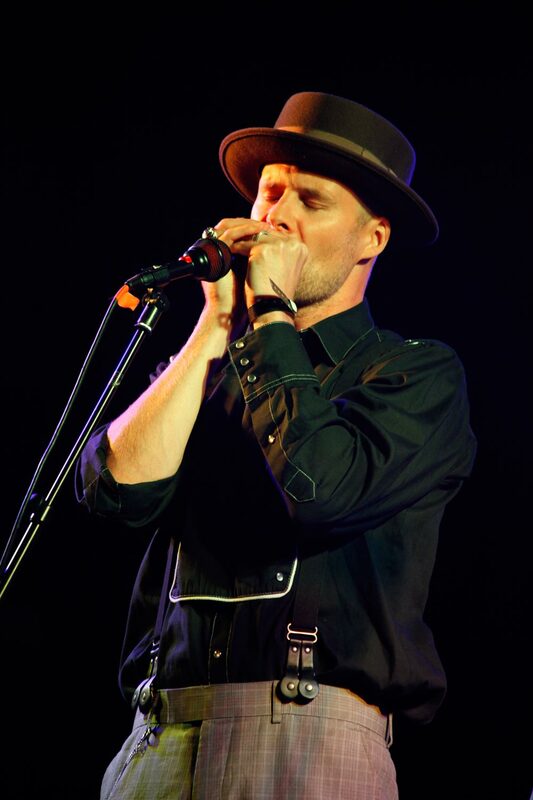 Once back in Sweden again, I approached my friend and colleague Mikael Bäckman, one of the best harmonica players around, who added a really sweet and tasty harmonica solo with a slight Stevie Wonderesque feel. How great! I started to feel I couldn’t get enough of beuatiful stuff so I also contacted Anna Manell who came by my studio. We wrote a little string arrangement together that she performed beuatifully on the violin. When I presented the final result to Bill he wrote me back saying “Wow, David, this is quite the delectable pop bon-bon! I love all the background vocals and strings you added. Splendid!”. It was naturally quite a relief to hear that from Bill since I wouldn’t have wanted to make him disappointed, given that he had offered me that wonderful music germ and title in the first place. 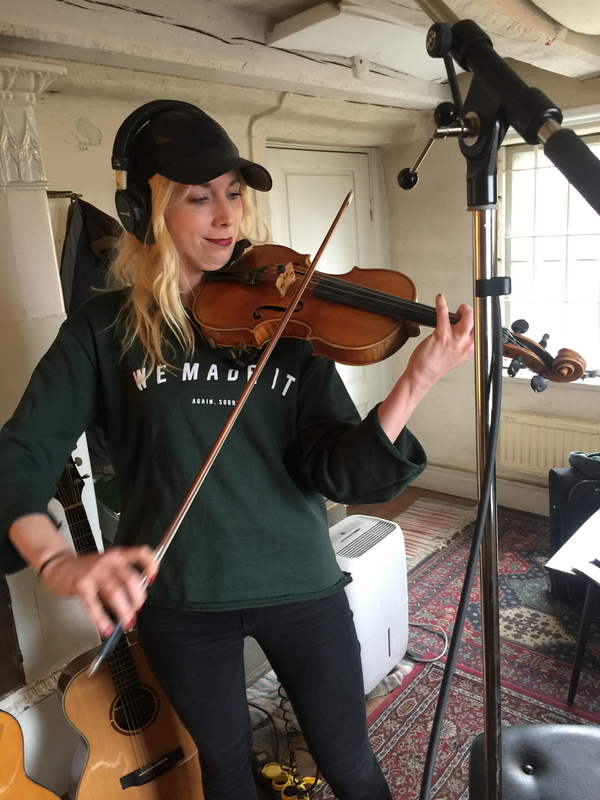 Anna Manell at David Myhr’s Monogram Recordings playing violin on “Room To Grow”. I’m very proud and happy to have gotten to know Bill DeMain. He’s such an amazing guy. 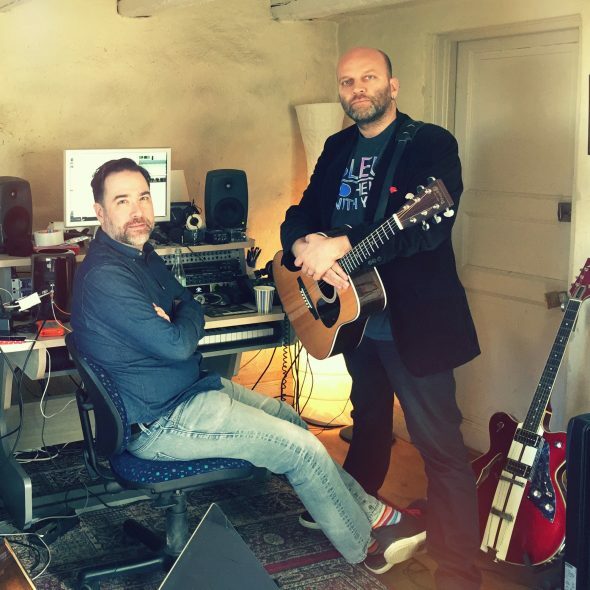 Not only is he an extremely experienced and enormously talented songwriter, member as he is of intenatioinally acclaimed duo Swan Dive, and with a brilliant solo album out now called Transatlantic Romantic (on Spotify here). But he is also he’s a writer who’s contributed to magazines like Mojo and Classic Rock etc. And a writer of four books (including Sgt. Pepper at Fifty: The Mood, the Look, the Sound, the Legacy). And on top of all this, he does Nashville’s coolest walking tour which Andreas Dahlbäck had the great pleasure to experience, where he takes you through decades of musical history, from classic country and western to R & B to rock ‘n’ roll. A true one-of-a-kind tour experience. 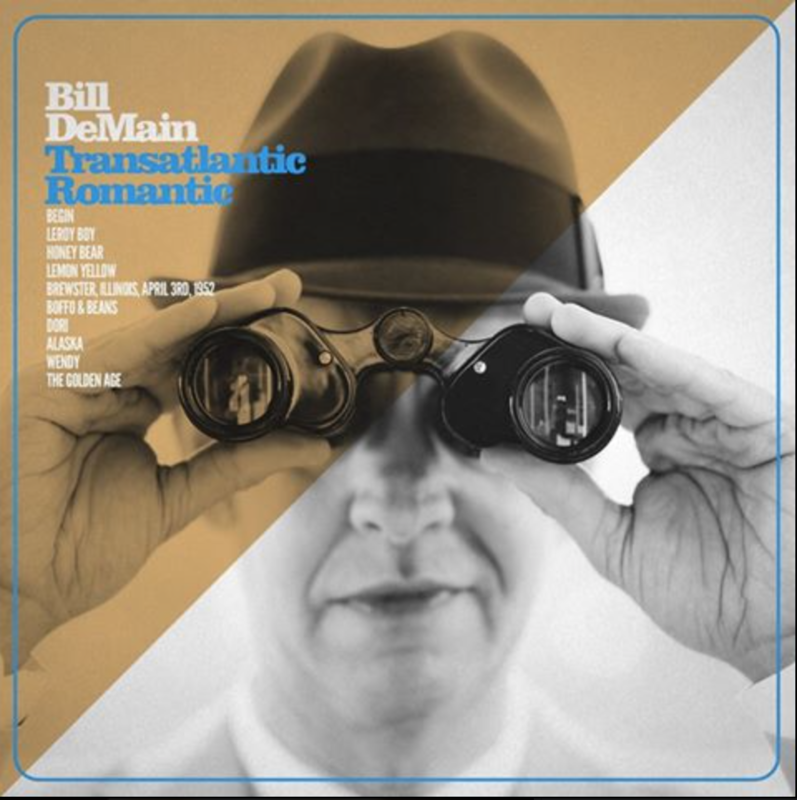 “Transatlantic Romantic” by bill DeMain. Such a beautiful album filled with incredibly well-crafted songs! “Room To Grow” is the second track made public from my upcoming album Lucky Day. 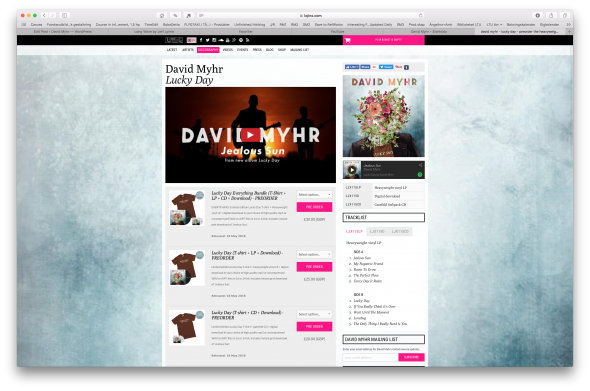 Those of you who pre-ordered it on iTunes can now download it and it’s also added to the Lucky Day playlist on Spotify. The album is of course also available on heavyweight vinyl with a beautiful artwork, and on a CD with full booklet, that also will contain four beautiful bonus tracks that I’m very proud about (including ”Spellbound” – “the song that E.L.O. never made”). All this (including a limited edition T-shirt) can be found on Lojinx here.